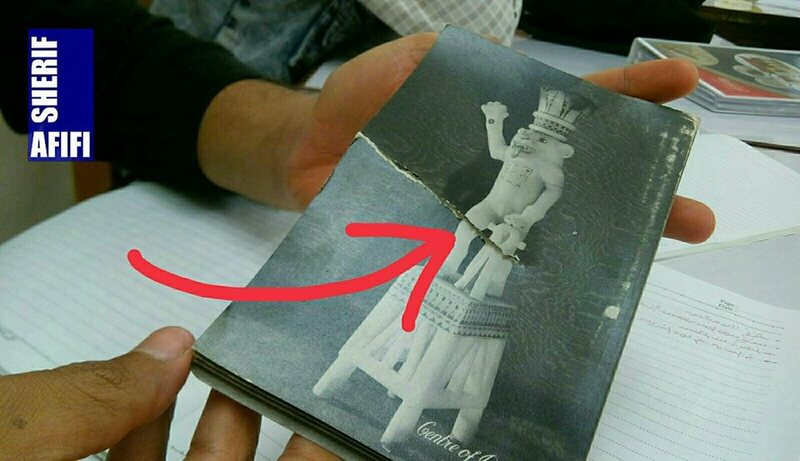 labels on rare collections (Books, Manuscripts, documents, photo albums ..etc) are glued on these objects and after some time it causes damage to the original binding material this damages mostly is irreversible damages most of the time. 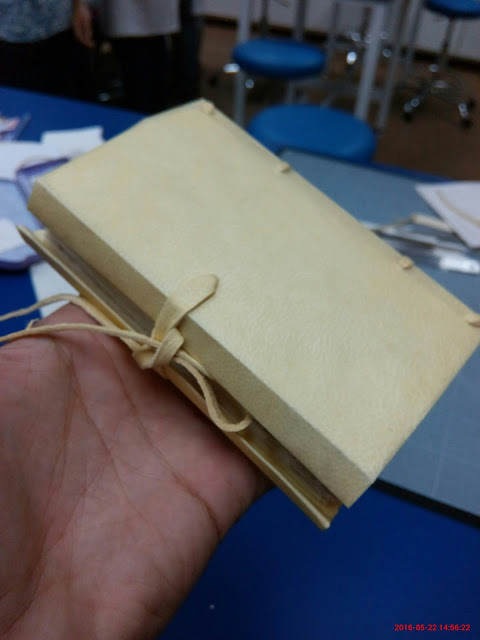 On this blog I will try to share my last few years experience thinking and trying to deal with those labels for the rare books collections, some methods was effective and safe, and some are not, as we always considering reversibility of any techniques we use on rare objects. 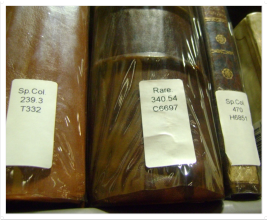 For general collections, acceptable acid-free book labels are available from library suppliers. Alternatively, use a soft pencil if it is absolutely essential to label the inside of a book cover directly. in fig(A) an 18-century binding is damaged by an irreversible transparent tape that has been adding to the spine joint with the upper and lower cover for keeping its shelf mark label stable as possible (from the Liberian point of view). after many times of use and handling, this transparent taps left causing a damage to the original leather. 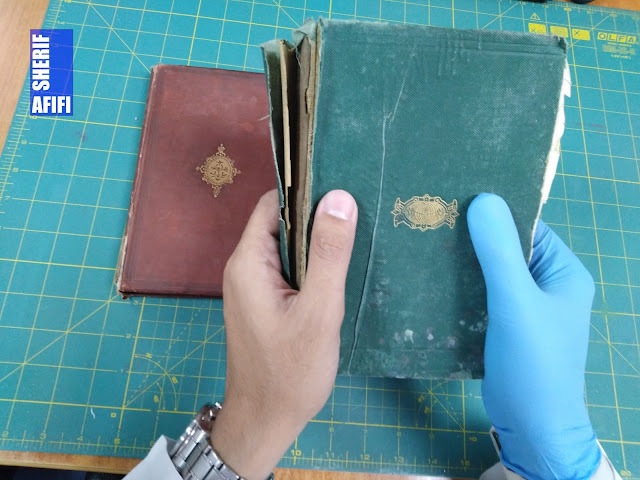 I have tried many different methods to avoid adding those labels back to rare books after restoration especially on the original binding material especially if the binding material is leather or paper. 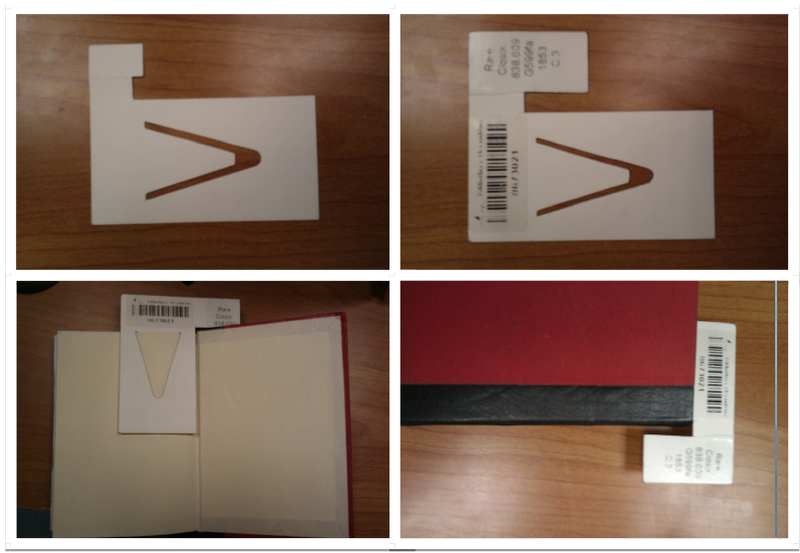 In this method, a protection layer from transparent polyethylene is used to protect the spine as a quarter binding then adding all the labels and barcodes to this polyethylene layer. Avoid direct contact or direct gluing between the book and the label. Protect books spine from dust and direct hand contact. May cause a fungal attack to the cover in case of humidity. Books electrostatically charge sticks together on the shelf which make some books act together as one during handling and cause handling damage. One of the worst thing that I have ever try is using a flap of leather or cloth or celluloid attached to the inner end of the spine during the restoration process to attach labels on it. Keeping labels away from the original cover material. Good ventilation for the spine. Cannot apply to all books on the shelf (only we can apply it when we fully restored and rebinding the books). Not durable whine using on shelves (readers sometimes Hand pulling the book from the shelves using it). Not always in a position to make it visible on the shelf. irretrievable as it becomes a part of the object binding. give a wrong historical identity to the original object. Is an acid-free card which is designed to attach on the end leaf or front leaf (guard) of the book with an external space on it to glue or add all labels and bar-codes on it. Nothing directly glued to the object which means good ventilation for the object and no more label cause damages. Stickers and labels are away (not glued on) from the book's spine. Visible to Liberians and readers, so it makes it Easy to find Call number or barcode on shelves. The acid-free card will not make any acidity Transfer effect or marks on the book papers or book cover. Very practical, cost effective and easy in using and changing it. It may get mixed from object to another during handling or reading. Liberian needs to educate readers respectively how to but these tables back to the objects after reading. In the case of a hard pressure on books on shelves for a long time, this label we leave embossed marks. adding to your consideration that the researchers who are dealing normally with rare objects (which is usually not objects for normal readers) are able to understand the value of these books and handling it in a good way and Liberian easily can guide them for the best objects handling practices. Maybe in my next blog, I will talk about the safe handling methods for bindings.